Developed by Konami Digital Entertainment Inc. and published by Konami Digital Entertainment Inc.
We have just picked up new achievements for Arcade Classics Anniversary Collection. There are 17 achievements worth a total of 1,000 Gamerscore, none of which are secret. To celebrate 50 years since Konami was originally founded, the publisher has revealed details of the Anniversary Collection, which will include three bundles containing games from Castlevania, Contra and more. 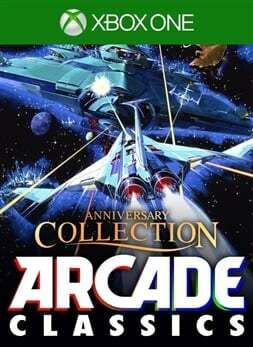 The first Konami Anniversary Collection game with achievements was Arcade Classics Anniversary Collection, which was developed and published by Konami Digital Entertainment Inc. and released yesterday. The next Konami Anniversary Collection game scheduled for release is Castlevania Anniversary Collection for Xbox One, on 16 May 2019.